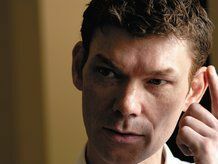 Gary McKinnon, the UK hacker who hacked into Nasa's computer system, has been told that his sentence is up for an application of judicial review 14 July. The outcome of the application will decide whether sentencing of McKinnon will happen in the UK or the US. Formerly a technical expert, McKinnon is wanted, according to TechRadar guest columnist Oxblood Ruffin, "for breaking into American military networks and downloading a picture." The security breach was all due to McKinnon's 'addictive' searching of suspected UFO data, something that has been attributed as a side-effect of Asperger Syndrome. McKinnon's solicitors want him to be tried in the UK for his crime, as they fear that extradition to the US will mean a heavier, unfair sentence – at one time, US prosecution called McKinnon's behaviour as the "biggest military hack of all time". A trial in the UK was denied by then Home Secretary Jacqui Smith, who denied a second appeal by McKinnon. The application will take into consideration whether Smith's denial was a lawful one, and if it proves not to be then the case will be put up for judicial review and fall into the hands of now Home Secretary Alan Johnston. According to McKinnon's solicitor, Karen Todner, if it is found that Smith made the right decision, then the application will be denied and a trip to the European Court of Human Rights beckons. Considering the military hack happened in 2001, there seems to be little light at the end of the tunnel for a case that has been going on for eight years.